How long should I bake the cookie dough? We recommend between 8 and 11 minutes at 350o. Make sure you don’t over-bake them. Take out your cookies when they start to become light golden brown. We now offer our cookie dough in 5 delicious flavours: Maple and Nuts, Praline Brownies, Birthday Cake, Signature Chocolate and the new one Cookies & Cream. And good news! We are always working on other recipes. Like LOTS of other recipes. Stay tuned! Please note that the availability of flavors may vary from one retailer to another. How long can I keep the cookie dough? If you prefer eating raw cookie dough, it is best to eat it within 14 days after opening the container. If you prefer baking the cookie dough, we recommend using it within two months after opening. Is eating raw cookie dough really that safe? Important: Many cookie dough brands are not safe to eat raw. 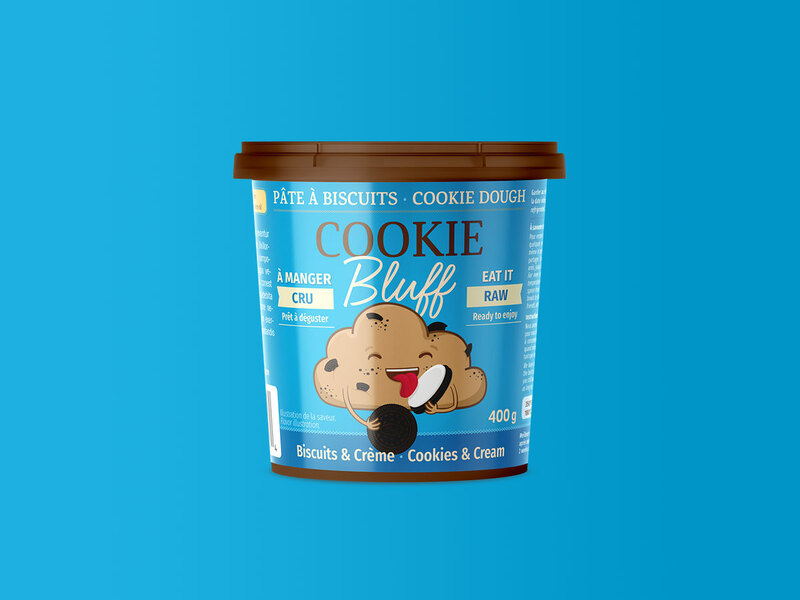 Cookie Bluff’s unique products are the only ones made in Québec and tested in a lab to ensure that they are safe to eat either raw or cooked. We are obsessively focused on safety. That means you can rest assured that you can eat our cookie dough raw. When you want raw, choose Cookie Bluff and no other. 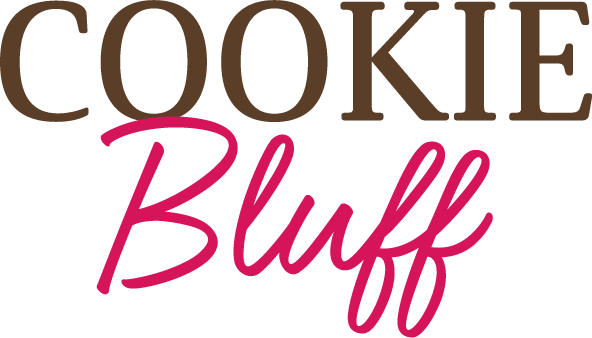 Where can I buy Cookie Bluff products? To get your Cookie Bluff fix, visit our Where to buy page to find a nearby store. You have questions ? We are here to answer you !